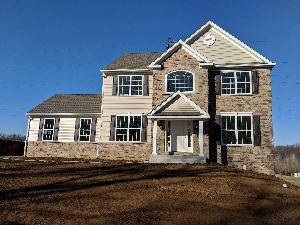 Stone elevation with side entry garage, hardwood foyer, kitchen, morning room, 42" maple cabinets, granite counter tops, family room fireplace! Expanded Shelby home now under construction! Features gleaming hardwood floors, white painted cabinets, granite counters, S/S appliances, fireplace and a daylight walk out basement!